I was just in front of a number of Medical Device professionals this past week-end and an observation was made that Product Life Cycle Planning wasn’t a point of focus with many of their organizations. A number of these professionals thought that it was a missed opportunity to optimization their product portfolios. Product life cycle planning is a great concept, difficult to execute in many industries, simple in some. The product lifecycle is just that, a lifecycle. 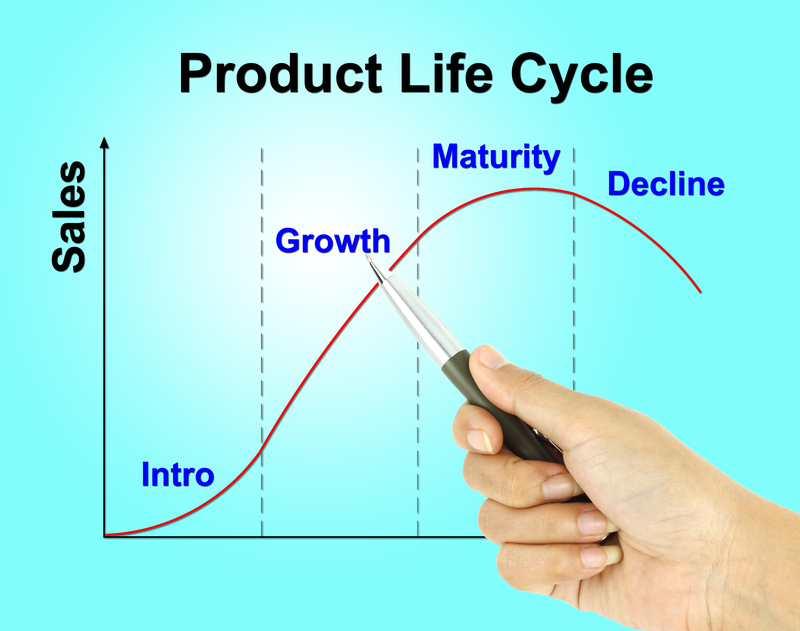 Birth, growth, maturity, and a decline to death are the four phases of the product life cycle. The lifecycle curve is often depicted as a very neat predictable curve. The challenge is that each product has its own equation for the curve. How long a product resides in each of the different phases is unique to the segment, product, competition, etc. phase your in, there are strategic plays to make. Each of the 4 Ps of the marketing mix can be deployed to optimize marginal profit. Or if you get bold and creative you can actually change the trajectory of the lifecycle and extend the growth or maturity phases, essentially prolonging the life of the product. My personal experience has shown that product lives can be as long as three decades to as short as a few months. The dream scenario is to have a very steep Introduction and Growth phase with a very long Maturity phase followed by a quick Demise. 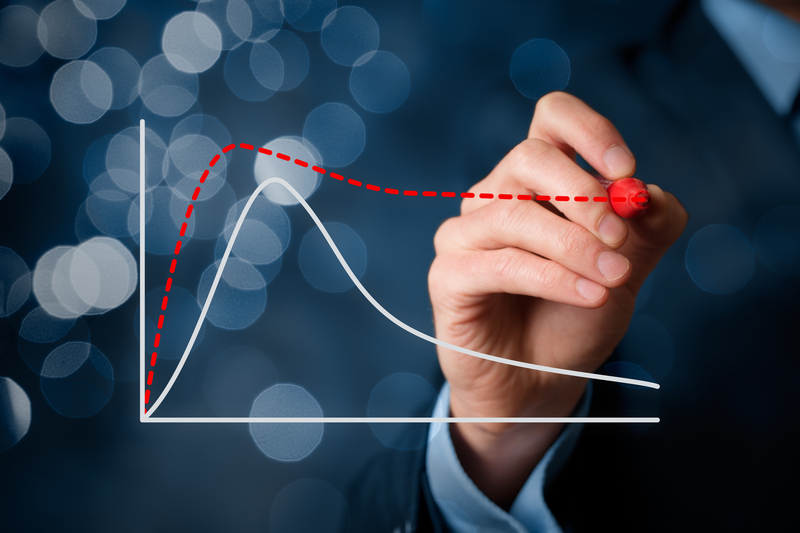 Within the medical device space, there is an elemental difference that changes the average life-cycle curve. The need for innovation, patent landscapes, regulatory affairs processes, high switching cost, conservative adoption practices, a required familiarity and consistency of tools that physicians use and how that contributes to the quality of care. These six critical differences must be accounted for in your life cycle planning. I often repeat the finding of a study done a number of years ago. On average it takes 14 years for 50% of physicians to adopt a new gold standard technique or technology. Of course, this varies by physician type and therapy and may well have changed over the years, but it makes the point that a lifecycle curve for a consumer product and a medical device are quite different. The most difficult thing to do is to remove a tool from a physician. The tool that your company commercialized and which, the physician bought into the story and has faithfully used in treating their patients. If you ever find yourself contemplating this unenviable task, just remember that the way you treat the customer during this necessary process is what will make all the difference in the World; communicate, communicate, communicate. Tim Walker is the Principal consultant for The Experia Group, and author of INSIGHTS: 33 Lessons Learned In Medical Device Marketing. Contact The Experia Group for a free 30-minute consultation to determine if 30-years of experience can contribute to your success. www.theexperiagroup.com.